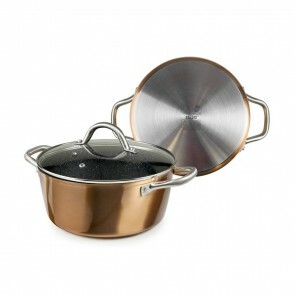 The aluminium pot is an utensil that is appreciated for its lightness. The aluminium also allows a perfect release of the heat. 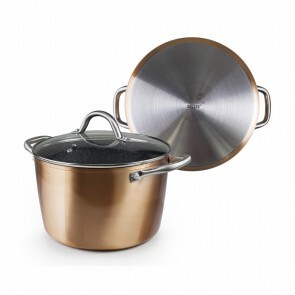 Copper cooking pot ⌀20cm x 8.3cm / ⌀7.8" x 3"
Copper cooking pot ⌀20cm x 12.9cm / ⌀7.8" x 4.7"
Copper cooking pot ⌀24cm x 10.4cm / ⌀9.4" x 4"
Copper cooking pot ⌀24cm x 15.3cm / ⌀9.4" x 6"
Copper cooking pot ⌀28cm x 12.4cm / ⌀11" x 4.7"